Kamloops is home to breathtaking hoodoos, crisp flowing river water and a skyline that will take all your senses on a ride! 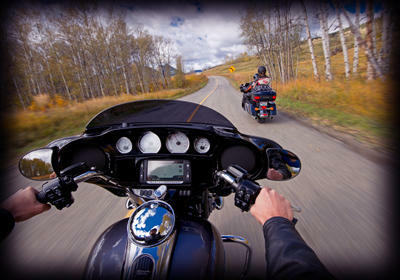 There’s no better way to experience the true landscape in and around Kamloops then seated on a motorcycle this season. 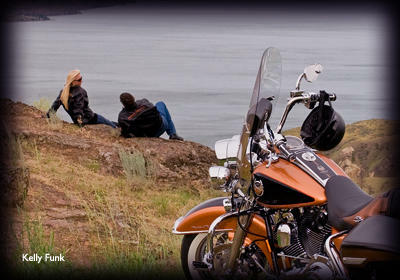 Start exploring with Tourism Kamloops’ Motorcycle Circle Tour map - http://www.tourismkamloops.com/files/TKMotorcycleMap20155final.pdf. Featuring 8 self-guided routes leading motorcycle enthusiasts along towering silt bluffs and rushing river valleys, near vineyards and grasslands, calm road-side fresh water lakes and sage-brush scented hillsides. Kamloops is the ideal hub for your next motorcycle adventure. With easy access by air, road or rail, pick up a motorcycle for rent at EagleRider Rentals and check into your motorcycle friendly accommodation. Kamloops is a natural home-base while exploring all that this area has to offer. Set out to explore in any direction with key highlights include touring the area’s 4 wineries and 2 brew houses, a must-stop at the Dreamcycle Motorcycle Museum near Salmon Arm and a visit to Helmcken Falls in Wells Gray Park. Take a ride on Hell’s Gate Airtram in the Fraser Canyon, a lake side ride on scenic Highway 5A as well as the scenic loop along the Fishing Highway along Highway 24. The Hot Springs Adventure Loop into the Kootenay region following Highways 23 and 6, bode pristine waterfalls and vibrant treelines. Riding in and around Kamloops can be enjoyed from May through October and embraces all of the vibrant colours each season. The Kamloops area is known for some of the best riding routes in the province – quiet, well-maintained highway corridors with plentiful rest areas and scenic viewscapes. For more information on motorcycle touring, visit www.tourismkamloops.com/ride.